Google Chrome is one of the most popular browsers on windows. It has faster accessing the internet or in other words, Chrome establish a connection to website servers more fastly than any of the other browsers. However, chrome seems to be taking a lot of Ram of your system but the smoothness and flexibility and the availability makes it more popular and usable. Chrome users have this issue most of the times that they want to block certain website due to some reason and they are not able to find an option for that. The reason for blocking that websites can be anything, you maybe want to block all the social sites on a school computer or block adult sites from any organization or from your home system that you used to share with your family members. Open your Chrome Browser and select the menu dots in the top right corner. Select Settings and then go to Advanced Settings. 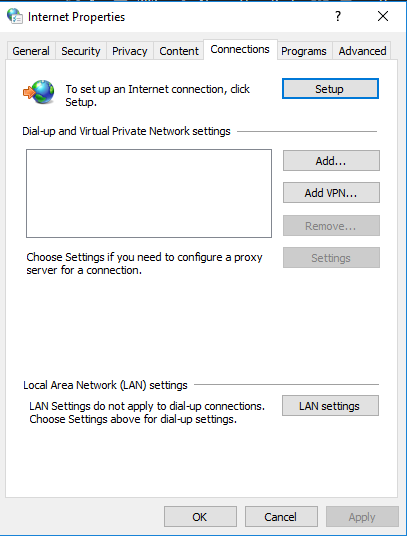 Select Change proxy settings under Network. This opens the Windows Internet Properties window. 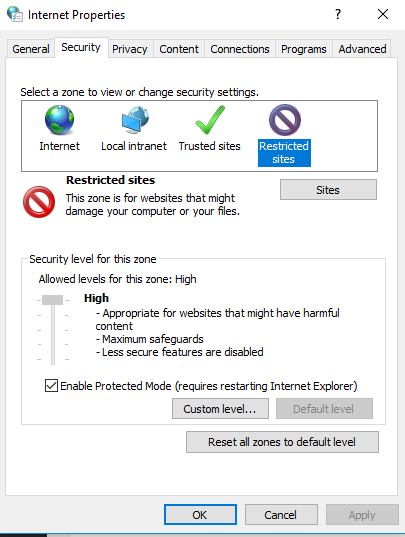 Select Restricted sites from Internet Properties window and click the Sites button underneath. Add the URL of the site that you want to block and click Add, you can add any domain and there is no limit on adding a number of domains. Once you have compiled the list, click Close and OK. Restart Chrome and you will find this working. By adding the home page URL it will work for all pages of that particular site, so you don’t need to add different pages of that website on the list. Note: This above method will only work on old versions on Google Chrome. Now chrome has removed this feature from working. You maybe find out this restricted site feature but it will not work. We have another method for Blocking Websites On latest version of chrome. Go to this link and add Block site extension on your browser. After successfully adding the extension on your browser click on www icon on your browser window(icon of Block Site extension). From popup menu click on Options. Under the list of blocked sites, add the URL of any website you want to add and then click on Add page. That’s it! now you can close the extension window, and every time someone will try to access that website it will not let them open or give the access the to site. Open the Block site extension again by going to Options. Add any URL you want to block and click Add page. After adding the URL it will give you a box for redirect to option along that URL. Now, Put the URL of that page in which you want to redirect that blocked site URL and click set. Now you are done redirecting Bloked site URL to another website URL. So if someone tries to open it, it will redirect them to other site that you added for that particular website.